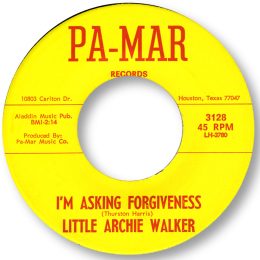 Houston based Archie Walker seems to have recorded only for the Pa-Mar label. His first “Cause I Love You” was a pleasant if unremarkable mid paced item which sounds like it was cut in the early 60s. 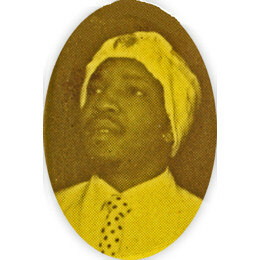 His cut of Thurston Harris’ I’m Asking Forgiveness was better suited to his light high baritone voice, and the waltz time arrangement works really well particularly when the horns come in. But his best record is his A Change Is Near on which his passion and belief come clearly through – easily his most committed vocal. 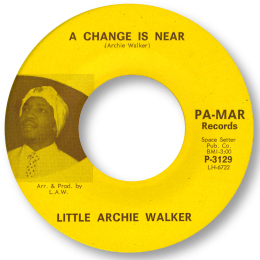 Of course the song is based closely on Sam Cooke’s “A Change Is Gonna Come” but the horn arrangement, superb lead guitar and slightly different chord structure and lyric justifies Walker claiming the writing credit. A very good disc indeed as the uptempo flip is well handled too. Thanks to Matt Futerman for the suggestion.